A new luxury boutique hotel and restaurant offering has re-opened the doors of one of Ballarat’s most iconic heritage buildings, The Provincial Hotel. Built in 1909, the iconic building, recognised by the National Trust, has housed publicans and hoteliers, each enriching the hotel with greater grandeur. Earlier this year, Simon and Gorgi Coghlan stumbled across The Provincial Hotel and decided to combine their respective skills to create something incredible. Simon, a stalwart of regional Victoria’s hospitality industry, and Gorgi, a media personality with a penchant for design and beautiful styling, partnered with Drew Harry, a hospitality guru, to make their vision a reality. “The luxury market is growing. Simon and I saw an opportunity to grow that market in Ballarat through boutique accommodation and an adjoining restaurant offering fantastic quality food and wine.” says Gorgi. The boutique hotel and restaurant provides luxury, timeless beauty and quality nestled within regional Victoria’s Western Highlands. Inspired by female characters who have influenced Ballarat’s history, the hallways of the hotel is the home to a revolving swag of local female artists’ original works. Lola restaurant, named after one of Ballarat’s most influential female characters from the Goldfields - dancer, actress and courtesan Lola Montez, is the newest offering to Ballarat’s ever-growing food scene. Lola is open daily for breakfast, lunch and dinner and offers a locally sourced, seasonally driven menu with a European influence. Head Chef Shaun Thomson brings his experience working alongside Peter Gilmore, Neil Perry and Peter Kuruvita to create a delicious, honest and impressive dining experience. “When staying at a hotel, most travellers look for more than just a bed to sleep in. Increasingly, fantastic service, attention to detail in a competent and relaxed manner, and of course a comfortable bed, create an intimate hotel experience. The Provincial Hotel and Lola restaurant have been designed to exceed expectations.” says Gorgi Coghlan. The boutique accommodation comprises 23 suites, each one uniquely styled with a mix of bespoke antique, modern and custom pieces. Drawing inspiration from the most beautiful hotels in New York and Australia, Gorgi and her team of interior designers went to great lengths to source fabrics and pieces of unparalleled beauty to create a warm and timelessly stylish environment for guests to relax and indulge. “We are the only destination hotel that doesn’t involve the need to get in a car. Directly across the road from Ballarat’s iconic Train Station in the CBD, our guests will have direct access to the best food, wine and cultural experiences Ballarat has to offer, all within walking distance. We’re confident The Provincial Hotel will become the gateway for travellers from Adelaide heading to Melbourne by road or rail.” says Gorgi. Original farmhouse restoration with old-school charm. 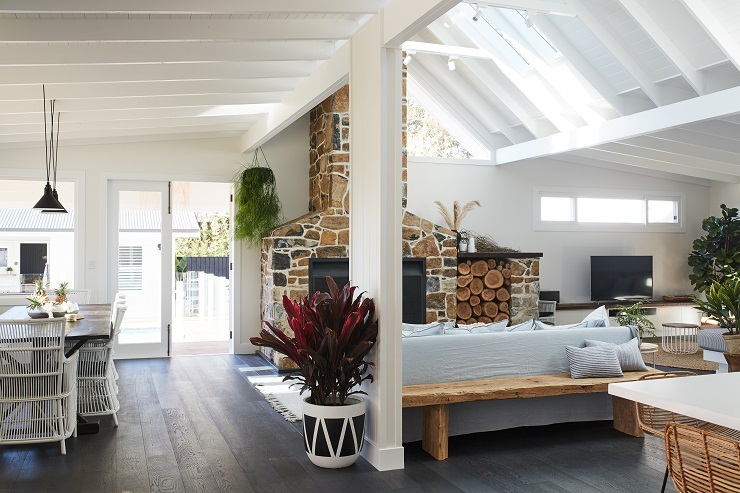 Pairing classic coastal style with authentic charm, Soul of Gerringong, offers boutique accommodation for up to sixteen guests. Located on the south coast of New South Wales, just ten minutes past Kiama, this unique property is a dream getaway. 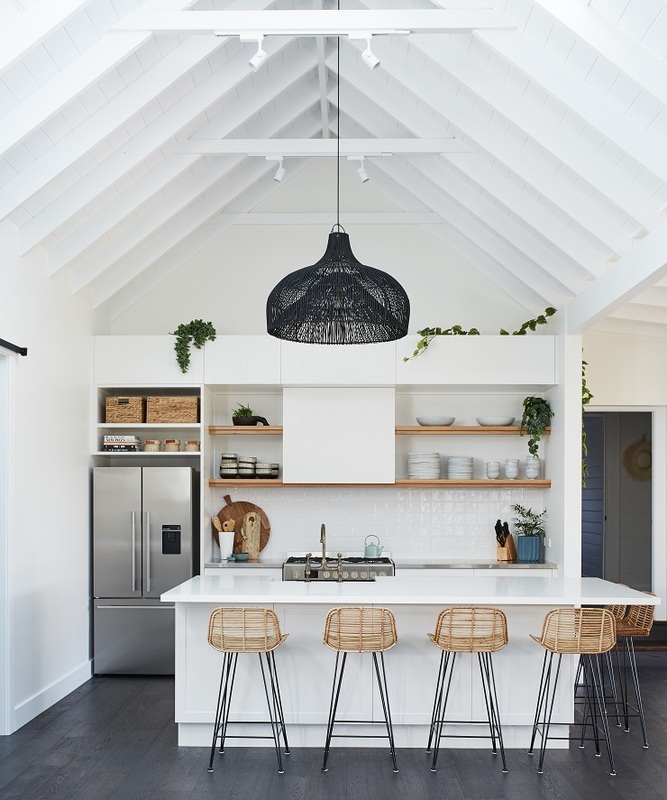 Built and designed by husband and wife duo, Ben and Simone Mathews from BAM Constructions Group and MGAO Architects, the heart of Soul is the original 1800s farmhouse featuring four bedrooms with private ensuites. At the rear of the property, you will find an oversized solar-heated pool, two-bedroom Cabana, four bedroom Barn and landscaped surroundings – paying homage to original heritage and balancing easy living with luxury. “Our design inspirations came from the original property that oozed old-school charm and we wanted to ensure that the end result was authentic,” says Simone, Interior Designer, BAM. The focal point of the interior is the open-plan living area, featuring a spacious kitchen and original stone fireplace – perfect for entertaining or cosy winter evenings. BAM specified custom Stegbar Raked Windows above the fireplace to complement the building design – flooding the place with natural light and adding a unique visual element. To bring the outdoors in, Stegbar Aluminium Windows and Doors feature throughout the living area – including sliding, fixed and louvre windows as well as oversized stacking doors. “Louvres are great to incorporate into any design due to their ventilation properties and ability to allow natural airflow and light into the home,” says Simone. “When it came to the façade, we wanted to maintain a cottage-like feel that seamlessly blended in with the rest of the home. So we utilised Stegbar’s custom made service and had windows hand crafted to perfectly match the home’s style,” says Simone. The façade now features Stegbar Western Red Cedar Timber Windows in white with colonial style glazing bars – paying homage to the original heritage of the home. The Western Red Cedar range offers a beautiful timber that is dimensionally stable under almost any climatic condition and is naturally resistant to termites, rot and decay – which is imperative being amongst rural land.